A versatile art projector for the beginning artist or crafter, and Artograph®'s bestseller. 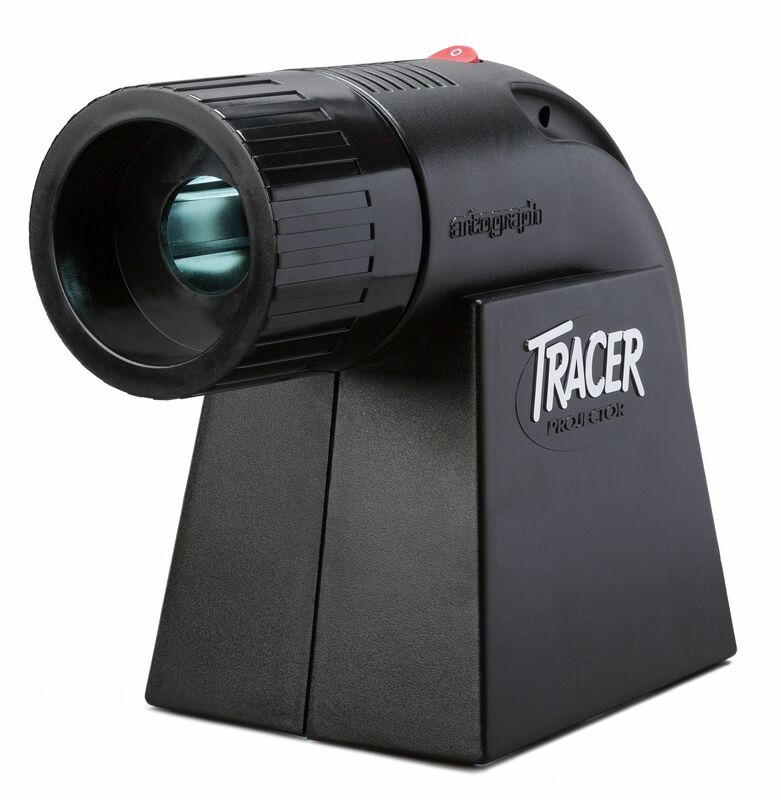 The Tracer® enlarges any design or pattern onto a wall or easel from 2 to 14 times the original size. Projected image can be easily traced and coloured as desired. No set-up necessary and simple to operate. Standard 100-watt bulb included. Dark room required. I have seen this and this is good enough for those who struggle to find depth on the sketch. but I have a question/doubt for the manufacturer which the shop owner couldn't clarify. because it was a packed product. contact rd.accurate@gmail.com Can we project the images on a cell phone when the cell phone is kept below it ? You cannot project images from a cell phone or Ipads or any similar devices.